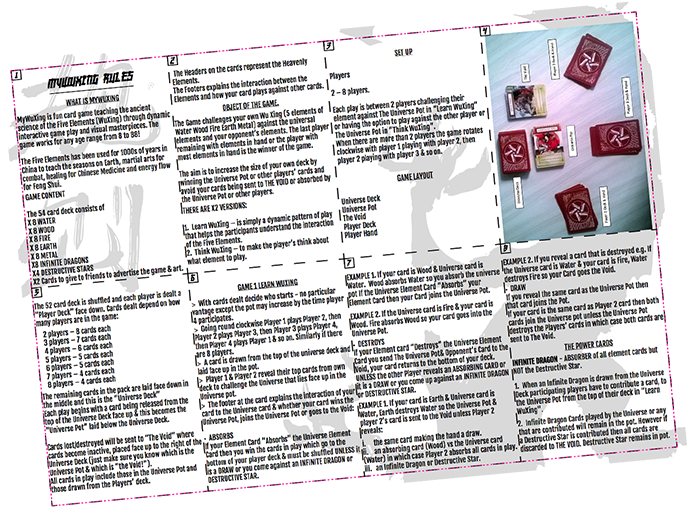 This is the first release of the MyWuXing & the rulesheet is a guide to play, learn, win, lose & have lots of fun! The Rules are not set in stone & they include both optional & advanced play. Just make sure you are all agreed on your understanding of the rules when play commences! The idea is to evolve WuXing into more levels of play, bring in a couple more power cards & apply a Yin & Yang to the Element Cards.